ALL ABOUT KIM JAEWON: [News] Kim Jae-won's first shooting of "Scandal"
Kim Jae-won took his first take of the new MBC drama "Scandal". A still cut of Kim showed him at Paju on the 30th of May and he looks determined about this drama. 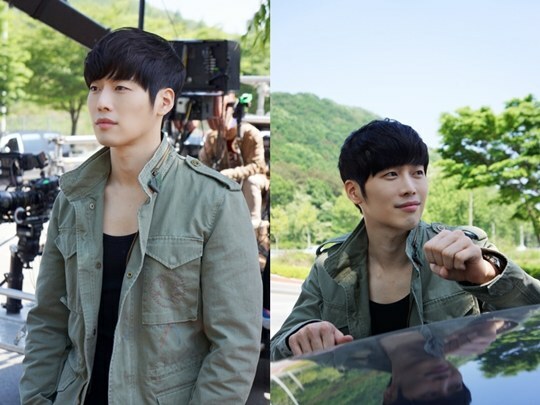 Kim Jae-won's agency claimed, "Kim Jae-won shot falling scenes without a stand-in and was the strong detective that he is. He is very into the role of Ha Eun-joong". "Scandal" is about a man who discovers that his father is actually a kidnapper who kidnapped him from the man who caused the destruction of the building he lost his own son in. To be aired for the first time at the end of June after "A Hundred Year's Inheritance".